Home » Community and Society » Cleaning up the island, one campaign at a time! We are so please to report that more and more residents are cleaning up the island. Garbage has been a major issue on the island, but now several establishments/individuals have taken the initiative to organize cleanup campaigns. These campaigns are essential to stir up a movement to keep the island clean. 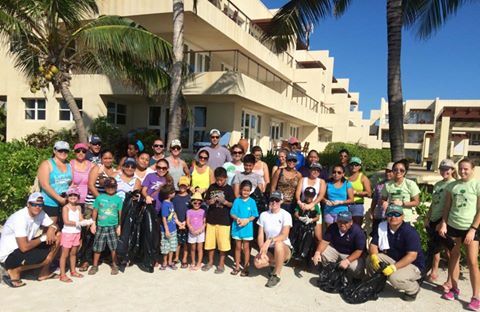 The Phoenix Resort is among those that have spearheaded successful cleanup campaigns. Their weekly garbage collection efforts bring together community members who clean up the beaches and core of San Pedro Town. Each Saturday, the initiative gets bigger, with more persons joining in the cleaning up campaigns. Each week a different business sponsors the cleanup by providing trash bags and gloves. “Everyone’s help is so greatly appreciated, and without it we would not be able to cover as many areas as we do around town. Again, thank you so much to all of you for your help. Without you this wouldn't be possible to carry out each week,” says the management of The Phoenix. Adding to the cleanup efforts, another campaign was held on Monday, June 8th on North Ambergris Caye. A group of volunteers visiting the island, Adventure Sports Ministry from Houston, Texas USA decided to clean up the sides of the road just north of the Sir Barry Bowen Bridge. 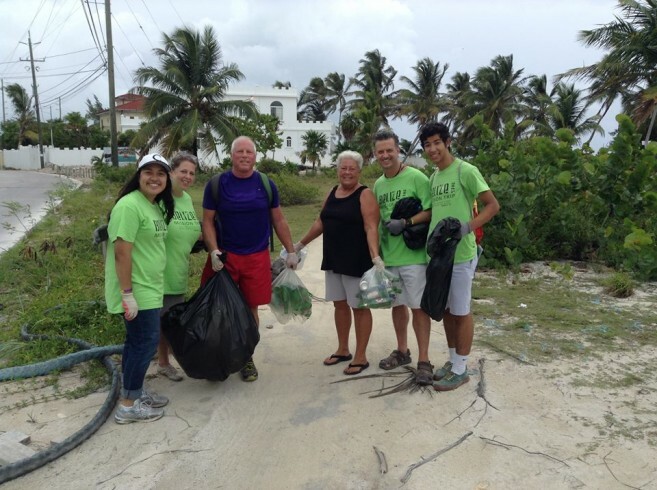 Adventure Ministry contacted Deputy Mayor Gary Grief in efforts of organizing the North Ambergris Caye cleanup campaign. Their cleanup efforts had a great ripple effect, and, on Friday, June 12th, “Nearly 60 people showed up in front of Paradise Theater for the first major ‘north-of-the-bridge’ roadside cleanup project. Half of those present came from Houston and half from the neighborhoods in the area. It was an amazing turnout and amazing results! Showing some island love!” said Robert J Hawkins who was among the volunteers. 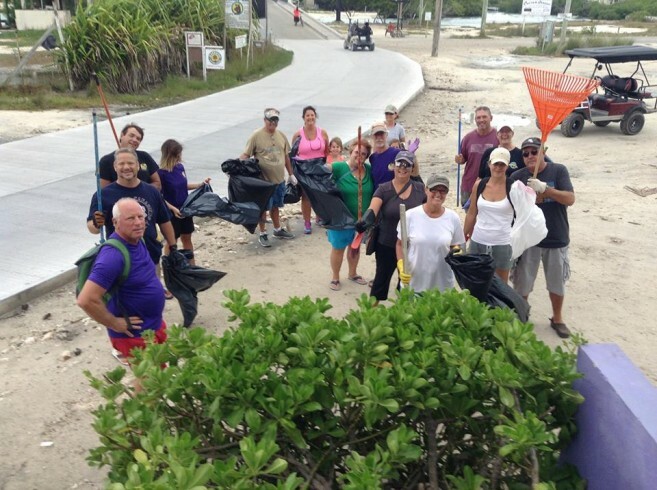 Kudos to all those who have offered their time and energy to keep the island clean! It’s an Island We Have to Keep Clean! Would the Sp Sun kindly post either on their site or in the paper the date and times of future town cleanups? While it is great to recognize these efforts after the cleanup, more citizens or readers might show up if there was an announcement. I will gladly help. Thanks for recognizing those who help clean up but I especially thank you for recognizing businesses and community leaders for their efforts.